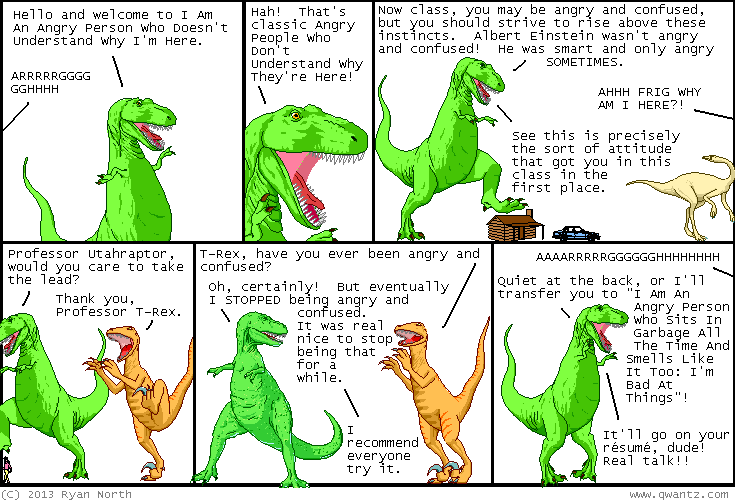 Dinosaur Comics - August 1st, 2013 - awesome fun times! August 1st, 2013: NEW SHIRT! Don't you hate it when people stare at certain parts of your awesome body, instead of at the certain other parts you want them to stare at? 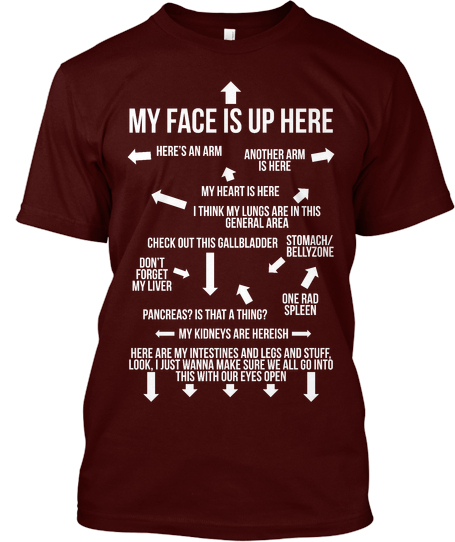 This shirt will help everyone figure out which of your organs they want to check out. It features a convenient and accurate map to your face, arms, heart, gallbladder, spleen, and also your kidneys and intestines and stuff. Pancreas too, I guess? Whatever you got goin' on inside, man!